This 75-foot tall glass tower, evocative of a lighthouse, is part of the Tom Ridge Environmental Center (TREC) located at Presque Isle State Park in Erie, Pennsylvania. The TREC faux lighthouse with its visible (131 steps) staircase reminds me of how we, as lighthouses for God, need to be not only strong and firmly grounded in our faith and convictions but at the same time relationally transparent. People, especially non-believers, should be able to see that true followers of Jesus Christ are made of flesh and blood. In other words, that we experience the same challenges and emotional and physical distresses as anyone else. But they should also notice that we are not easily engulfed by the clouds of defeat, self-pity, and condemnation. For, even though we are subject to the troubles of this world, we have been equipped to confront them with supernatural peace and joy. And this is what actually sets us apart. Many a time we Christians feel like we have to walk around as if we were untouchable or like nothing ever affects us. We portray ourselves as perfect beings simply because we got religion. Now don’t get me wrong, the grace of God is powerful enough to help us live victoriously regardless of our circumstances, but as vessels still in the making and totally dependant on the Holy Spirit, we must be very careful that our confidence doesn’t turn into spiritual arrogance. If the great men and women of the Bible, including Jesus himself, had no qualms in revealing their emotional, mental, and physical limitations/struggles, then it is safe to conclude that we too can express our brokenness without shame or the fear of criticism. In doing so, we can become transparent lighthouses that can effectively and relationally share (shine) the Good News of salvation. So the question is, are we transparent enough (in our workplaces, homes, schools, social gatherings and yes, even churches) so that others are able to see our shortcomings and learn from our determination to overcome and continue living for Christ? Are we giving them reasons to trust us and the power of the Gospel working in us? On a daily basis, we ALL face the temptation to hide behind a facade of piousness and/or appear as if we have it all together. If and when we give in to such temptations, we are actually obscuring our motivations in order to falsely gain trust and appear to be in control. We cannot even foresee what will happen tomorrow let alone know exactly how we will react to any given situation, especially bad news. So, we need to accept the fact that we are NEVER in control. God and only God is in control. Being transparent doesn’t come without risks and challenges. It means you have to become like a glass case, inwardly visible, fragile, and vulnerable. But remember, some glasses are shatter resistant. They allow us to appreciate things of great value while keeping them safe and secure. By allowing others to see through us we make ourselves more relatable, approachable, and trustworthy. Therefore, it can actually strengthen and protect our ethical and spiritual integrity. In fact, when we let others see how we deal with life’s challenges (hopefully in a spiritually disciplined manner) we are more effective in proclaiming the mercy and grace of God than by always appearing to be trouble-free or worry-free. Besides, that is not what the Gospel of Jesus Christ offers to those who embrace it. If anything, it comes with warnings of imminent persecution. However, it also comes with the guarantee of power to experience unfathomable peace, unspeakable joy, everlasting hope, and unconditional love in the midst of turmoil. These things, although supernatural, are possible and are best represented when we are honest (transparent) in our relationship with God and with others. This doesn’t mean, of course, that we have to expose everything about ourselves. There are personal matters that need not be divulged. However, we shouldn’t confuse pride, guilt, or the misconception of holiness with the right to privacy. For this can greatly increase the chance of portraying ourselves in a falsely positive light and give the impression (not that we haven’t already) that Christians see themselves as faultless and as “holier than thou.” If and when questions surface about our motives, integrity, challenges, and shortcomings, a solid track record of openness, genuineness, and immutable faith will be the best antidote for misplaced doubts and judgments against us. Transparency was very important to the Apostle Paul’s work with the Corinthians, and we can follow his example when living transparently among believers and non-believers alike. Prayer: Dear Lord, you can truly relate to me since you did not shy away from showing your humanness when you walked upon the earth you created. Help me to be relatable to others as well. Keep me from hiding behind a pious mask so that they may know that they are not alone in their struggles. But help me also to remain steadfast and uncompromisingly faithful to you, so that they can also witness the power of your mercy and grace. In your most precious name, I pray. Amen. 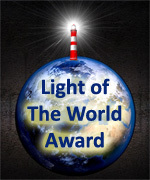 I totally love your focus on the different kinds of lighthouses and the spiritual lessons we can learn from them. Spot in every time! This is no exception! Thanks! Thank you, Karen. We all shine the glorious light of our Savior when we use the talents He has gifted us with. 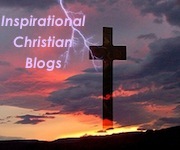 Your Blog is certainly one brightly shining beacon! This is so good. I think it’s so important to show our humanity and not walk around fake and phony. The world actually needs to see us struggle so they can appreciate the help and peace we receive from the Lord. Good stuff. Thank you, Teri. Indeed, the best method to effectively witness is to be a “real” witness. God bless you. Keep shining your light for Jesus! Excellent post! This is how we should daily live. Thank you for sharing. God bless you. Thank you, Tanya! Indeed, I always say that transparency amplifies the message of transformation (grace and mercy) in Christ. God’s blessings to you and your family as well. Love this. I wrote a poem called “Muddled Mind” of which brought comments from my fellow Christian friends worried of my spiritual status. I had to reassure them my faith was as strong as ever, yet I steel feel my human condition. Thank you, Phyllis! I’ve learned that being transparent does not only help us become more relatable, but it actually guards us against spiritual pride when others look up to us as counselors, mentors, and as leaders in general. I don’t ever want to become anyone’s crotch (god or idol), so I am quick to let people know I am also a repentant sinner who struggles and is still in need of a Savior. Christians are lighthouses. This writer illustrates this powerfully. I love lighthouses but was not familiar with this one. Thanks for sharing this plus the powerful content!